The Bialetti Classic Stainless Steel Moka Pot coffee maker – this iconic espresso maker is known to be in every house in Italy. But the news is out now that the Italian company, Bialetti, is facing possible bankruptcy. Our days to get an original Italian Bialetti moka espresso pot may be numbered. I originally bought one of these little beauties to take with me camping. You use it right on the stove or campfire, it’s small and sturdy, and makes a delicious espresso coffee. Bialetti started making these in 1933, when the economy was struggling and people couldn’t afford to drink their espressos out as often. This easy little espresso maker is affordable and makes a delicious espresso right at home. It has become the mainstay of Italian homes – it is claimed that every home in Italy has one of these. When I heard that, I bought mine and have loved and used it ever since. Now, with Starbucks and coffee shops opening in Italy, with automatic one-cup coffee and home espresso makers, like Nespresso and Keurig, Bialetti is losing sales and struggling. Let’s hope and pray they do not go bankrupt! Here is the news story where you can find more information. I use both my Bialetti moka pot as well as my French Press, and my Mr. Coffee Cafe Cappuccino Maker. When I compare the moka pot vs French Press, overall the strength and taste of the coffee is similar. With the moka pot, you get a generally higher and stronger, more espresso coffee. French Press makes a delicious regular coffee. But with each of them, how strong the coffee is depends on how many tablespoons of grinds you put in, how strong is the coffee bean you’re using, which type of bean (espresso roast or regular roast), etc. The moka pot obviously works better for camping than the French Press, since it is a stainless steel moka pot instead of a glass container. I like that with the moka pot it brews and then you immediately pour and drink, nice and hot. With the French Press, the coffee sits in the grind for at least three minutes, sometimes up to five depending on your preference, so you have to find a way to keep it hot. I usually pour my French Press coffee into a pre-warmed coffee thermos – I can then pour and drink at my leisure, and it remains pretty hot, but not as steaming as pouring it directly the brew from the moka pot. The other main difference is that the moka pot only makes a small amount of espresso, depending on which moka pot size you have, whereas the French Press makes several American mugs of coffee each time. French Presses also come in several sizes, but most people use the standard size. There is also the difference in how the coffee is made. The moka pot percolates your coffee, infusing the grind with moving, boiling water – which I think makes a more delicious and smooth cup of coffee. The French Press has the boiling water poured over where it then sits with the grinds in a more static infusion. As far as timing for your coffee, the moka pot is slightly quicker. My moka pot takes about three-five minutes, depending on how hot the heat source is, before the water percolates up into the upper chamber. The French Press takes a while for you to get water boiling, depending on how hot your heat source is, then it sits for 3-5 minutes, so it takes a little longer. The Moka Pot is easier to clean, too. None of it goes in the dishwasher. The three components come apart easily and you simply rinse under hot water – it is a stainless steel moka pot, so very simple. With the French Press, I usually rinse it out, too, but the glass doesn’t clean as easily as stainless steel. Occasionally I remove the glass part and run that and the filter lid through the dishwasher. Like most Europeans, the Italians drink tiny cups of strong espresso. So you’ll find the 1-cup Moka espresso pot, making 2 oz of espresso to fit a tiny espresso cup. Then there’s the 3-cup size stainless steel moka pot, which makes 4.4 oz of espresso – enough for 2 espresso cups, or one small American cup of coffee. For myself, I chose the 6-cup moka pot, as it makes about two cups of American-size coffee, just enough for me, and is a comfortable size to take camping at 4″x4″x 9″ tall. It produces 9.2 oz of coffee. Keep in mind, when I say it makes me two cups of American size, I tend to drink from a slightly smaller coffee cup than most Americans. If you’re using the large coffee mug popular in the US, this 6-cup moka pot will probably fill one of those with a little left over to top it off. From there you can choose the 14.2 oz moka pot for espresso, it fills two large American coffee mugs. Lastly Bialetti offers the 12-cup moka pot, making 22.7 oz of espresso – just under three full American mugs. This one is for gatherings and is 11″ tall. Using the moka pot for espresso is very easy. First you unscrew the top chamber from the bottom chamber. Remove the filter piece. Pour water into the bottom chamber up to the fill line. Nestle the filter piece in, and put as many tablespoons of coffee grinds as you like – I usually use 1 Tablespoon per cup of coffee – so about 2 Tablespoons in my 6-cup Bialetti Moka Espresso Pot. I recommend a medium grind, same as for the French Press. If you like to add a sprinkling of cinnamon or other spice, as I often do, put it on your grinds. Next just screw on the upper chamber. Place the moka pot on your stove or campfire, whatever you’re using for your heat source. I put my stove at about the 6:00 position – medium heat. Then you wait. After about five minutes or so, you’ll hear it percolating into the upper chamber. I lift the lid to check when the upper chamber is full, then I know it’s done. Remove it from heat, pour and enjoy. Various coffee makers work best at different grinds of coffee. For the moka pot I recommend a medium grind of coffee beans, like you would use in any espresso maker. Do you use a Bialetti or other moka pot coffee maker? Please comment below how you like it, how you think it compares to French Press coffee, and any other thoughts below. I ran into someone who said the best tasting coffee they’ve ever had is Kona Purple Mountain Coffee. I was excited to try it, so I ordered it off of Amazon. It took over a week to get to me from Hawaii. Kona Purple Mountain Coffee is organic and naturally made and roasted on the mountains of Hawaii, so already I was impressed. Note, there is a separate company called Kona Mountain Coffee with shops in Hawaii, but I’m reviewing here Kona Purple Mountain Coffee, a brand of coffee bean made in Hawaii. Upon opening the bag I delighted in the lovely fresh coffee aroma coming from the beans. I ground some and made coffee, trying it in my Bialetti Moka Pot as well as a French Press, and later I used it in my Mr. Coffee Cafe Cappuccino Maker. This company, Kona Purple Mountain, started in 1976 and is a family-owned coffee estate. They grow 100% pure organic beans in the high altitude of Honaunau Mountain at 2,000 feet. The farm is located on the western slope of Mauna Loa, on the kona side of the Big Island of Hawaii. They have an optimal prime location for growing excellent beans. They do all the processing themselves using traditional methods, from harvesting to shipping. The beans are sun-dried on “hoshidana,” a wooden platform deck with an obviously Japanese name. The hoshidana is covered with a thick plastic greenhouse tarp to protect the beans from the afternoon rains. They add no chemicals or pesticides of any kind. The coffee is roasted fresh right at their farm. On their website you will find lots of photos of the steps they do to make this delicious coffee. They are certified organic, which means no blends, flavors, pods or decaf. The beans are 100% sun dried and hand-picked and they offer green or roasted coffee beans. Their motto is “With passion and respect for the aina (land), we practice sustainable organic farming and are “Certified Organic.” Their philosophy alone is worth giving this company our coffee-loving support. What is Kona Coffee, exactly? Kona coffee refers to coffee specifically cultivated on the mountain slopes of Hualalai and Mauna Loa. These are found in the North and South Kona Districts of the Big Island. Kona Coffee is one of the most expensive coffees to buy in the world today. Only coffee grown in the kona districts are allowed to use the prestigious name. The ideal conditions for growing coffee stem from the sunny mornings, the rainy afternoons, mild wind and nights, and the volcanic soil rich in minerals. There is nowhere else just like this for growing the unique coffee. 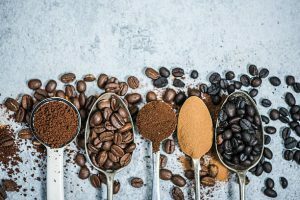 Because of the price of pure kona coffee, some merchants sell “kona-blends.” Be aware that these are kona coffee blended with less expensive coffee, like Colombian, Brazilian or other coffees from around the world. The word kona is the name of a southwesterly winter wind in Hawaii. This kona wind is usually strong and it brings rain. 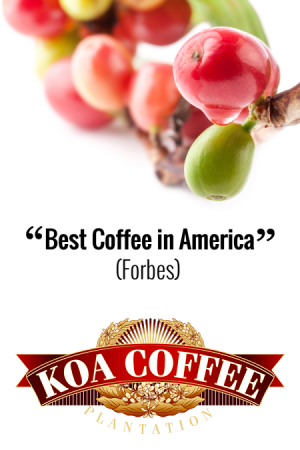 Another company, voted by Forbes as having the best kona coffee in the world, is Koa Coffee – be sure to check them out. I’ve read that each kona farm produces their own distinct arabica coffee bean, the micro climate of each farm plays a part. So trying out the various kona coffee company’s beans would be a fun and interesting challenge. Save on Kona Coffee when you buy a Triple-pack! Before this I’d been drinking dark Turkish coffee and some Lavazza, my favorite. I also enjoy Bustelo Cuban Coffee and Starbucks, all of which sport a smoky coffee flavor. Starbucks’ coffee beans have a dark, slightly burnt taste. With Kona Purple Mountain Coffee (I got medium roast), I noticed right away it has a completely different flavor profile. At first I didn’t like it at all, but I’m getting used to it and starting to enjoy it now. It has a kind of brassy, coppery tone to it, almost like caramel. At first it reminded me of cheap coffee I’ve had at places like Village Inn, or like Maxwell House. But this coffee is expensive to buy. I wonder if this flavor profile comes from it drying in the Hawaiian sun, and from the volcanic soil? Or maybe because this is a medium roast? It is still a strong coffee, like the others I’m used to. Now that I’m adjusting to the different taste, I’m starting to quite enjoy it. It is kind of caramelly, a flavor I often prefer in my coffees. I’ve read warnings that many companies will try to trick you by using the word “kona.” Be sure to double-check if the beans you are ordering are actually grown in the kona districts of Hawaii. Let me know, in the comments below, if you have tried Kona Purple Mountain Coffee (or any kona coffee brand) and if you understand what I mean by the different taste profile. It took me a few cups to come around, but I am starting to enjoy this unusual taste. I like to add some kind of creamer, either coconut creamer from the store, or my homemade cashew milk creamer, along with some caramel-flavored liquid stevia. The caramel stevia enhances the slightly caramel taste of the coffee and they go very well together. If you have tried other kona coffee brands, please leave your impressions in the comments below. Do they all have the same, basic taste profile? It would be fun to compare. This family-owned business offers a monthly Coffee Club. It’s a standing monthly order that gets charged to your card and shipped out the 1st of every month. Your regular order is sent out, but you can contact them anytime to add to or change your order, if you wish. With this club you will get a discounted price on the coffee. Where to Buy Kona Purple Mountain Coffee. Other Trustworthy Kona Coffee Brands Recommended to Try. So you’ve discovered the sublime flavor of Turkish coffee cooked in an ibrik with a hint of cardamom. But where to get actual Turkish coffee beans from Turkey? Look what I found in a local Arab market? My husband and I noticed a little Arab food market and decided to check it out. I got a can of real Turkish Coffee made in Istanbul – these Turkish coffee beans come finely ground. At the market they also had broken pieces of sugar – both white and yellow saffron sugar. They were like irregularly-shaped sugar cubes. The grocer said in some Arabian countries people like to place one of these on their tongue and keep it there while they sip their unsweetened black coffee or tea. 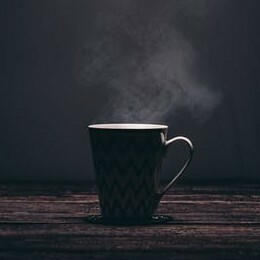 Others put a cube directly into their coffee or tea cup, like the English do. I came home and immediately made Turkish coffee with my ground beans from Istanbul in my ibrik. It was very good, but very strong – almost too strong for me, and I’m used to strong. Also, the flavor wasn’t as smooth as I prefer. It is super-fine ground with a strong, dark, smokey flavor, similar to the slightly burnt-coffee taste you find in Starbucks shots. Because it is so strong I prefer this one with a little cream. If you want to try this or other Turkish coffee, ground or whole, and don’t have a local Arab market, you can order several kinds right from Amazon or other online shops. 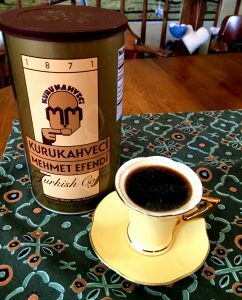 Amazon carries this brand I tried, Kurikahveci Mehmet Efendi Turkish Coffee. They also offer several other brands, some with the ground cardamom already in the grounds. When it comes down to it, any beans grown in Arabic regions would be perfectly authentic for Turkish coffee. I contend, having made many cups from all regions and brands of coffee, that Turkish coffee is delicious made with any coffee beans. Everyone has their own preference and taste, so I encourage experimentation – which are your favorite coffee beans in making Turkish coffee? Also, grinding coffee beans fresh right before brewing is always best. But you can use pre-ground or grind enough for a week at a time and store in a jar in a cool, dark cupboard. Measure 1 spoonful/coffee scoop of ground coffee per cup of water. Fill your ibrik only to 3/4 full or less, so it has room to froth up. Add some sugar if you like, I recommend one teaspoon. 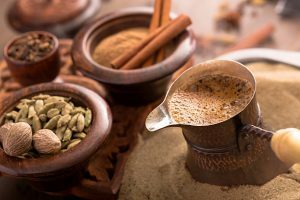 Add a sprinkle or up to 1 teaspoon of ground cardamom, for traditional Turkish Coffee, or any ground spice you prefer (I love cinnamon, fennel, nutmeg). Use only one spice at a time. Let this boil on your smallest burner on the stove top. It may take 5 minutes or so to come to a boil, depending on the amount you’re making. Watch it carefully and either lift or move your ibrik over as it froths up and just before it spills over. As it dies down a little, move it back onto the heat and bring it to a boil a second time. Let it boil for several seconds for the sugar to melt and dissolve into the coffee. Pour into your mug, grounds and all. Let it sit 30-60 seconds to cool and for the grounds to settle. You may pour it through a fine-mesh strainer if you want almost no grounds in your mug. If you want cream, add it right after pouring, but traditionally this coffee is drunk black with a little sugar. Enjoy your Turkish Coffee, and do not sip all the way to the bottom if the grounds are there! Did you use Turkish coffee beans or other beans? Freshly ground or pre-ground? Which spices? Leave your comments and pictures below! 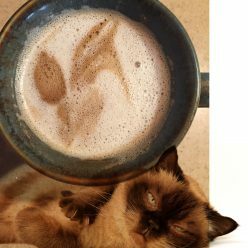 So you have your new espresso maker and want delicious cappuccino recipes for your espresso machine? See below for several to sip and savor. We’ll start with basic cappuccino. Sometimes the classic is all you want. 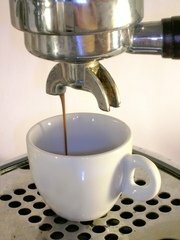 Once you are familiar with using an espresso machine, you’ll be ready to go. On your machine, select the cappuccino setting. Choose whether to pull one shot or two shots of espresso into your cup. I prefer mine a little sweet so I put a teaspoon of sugar into my cup BEFORE the espresso pours in, to help it start melting. Then I stir it BEFORE adding the steamed milk on top. Use your machine’s wand or milk frother, if it has one, to pour the hot steamed, frothed milk or cream on top of your espresso. If your machine doesn’t come with a frother, you can purchase separate products to create frothed milk. One of the best is a little metal pitcher with a frother attachment. You can also get a battery-powered wand frother. For either of these you have to heat up your milk first, then froth and pour into your cup. For an extra touch, sprinkle cinnamon on top. 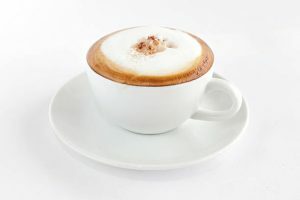 Now on for my own cappuccino recipes for espresso machines. Take the spice a bit further. Following the basic instructions above, add a teaspoon of spice of your choice to the grounds before pulling the shot with your machine. Several of my favorites are ground cardamom, cinnamon, fennel, anise, allspice, cloves, pumpkin pie spice, nutmeg. Use only one at a time. This is for adults only. Instead of adding your sugar or sweetener to the cup before the espresso pours in, instead add half a shot to a shot of your favorite liquor. Some delicious options are Grand Marnier, Kahlua, Irish Cream, Anisette, Godiva Chocolate or a flavored vodka such as orange. For a similar adventure which is non-alcoholic, use a favorite coffee syrup for sweetener. Try Almond, Hazelnut, Mocha, Lavender, Vanilla or Blueberry. 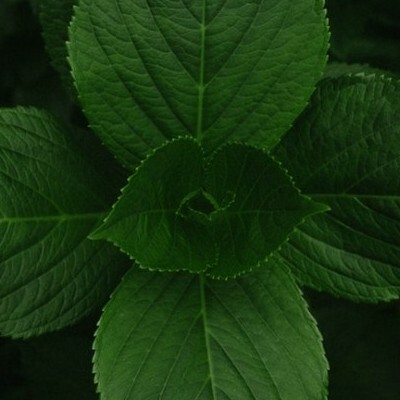 Another option, especially if you want sugar-free, is to use flavored liquid stevia, or any sweetener with regular baking flavorings like almond or vanilla. Okay, so the Aztecs didn’t drink cappuccino’s, but they did drink spiced sipping chocolate. Follow the basic cappuccino recipe above, but add a teaspoon or less of cocoa powder to the coffee grounds. Then sprinkle a pinch of chili powder on top of the espresso and/or the steamed milk on top. Or substitute cinnamon for the chili powder. 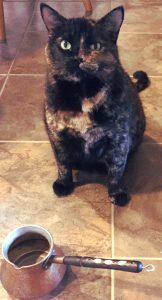 Stay tuned for more recipe posts from a Coffee Cat. And leave your favorites below in the comments! We love our coffee and some of us love to drink lots of it. But too much, too strong or too caffeinated and it can mess up our digestion with too much acidity. Cultures around the world, though, have found preparation methods to make coffee less acidic. Plus they taste delicious, too. When you make cold brew coffee, the overnight soaking reduces acidity by 67%, according to scientific study by Toddy. 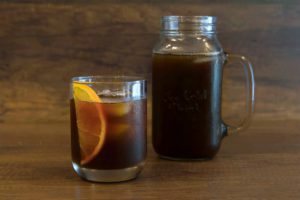 Plus cold brew is easy to make and smoothly satisfying. Simply take a large jar with a lid (I use a half-gallon jar), put in 1 spoonful or coffee scoop of grounds per 1 cup of water, filling the jar you have. Seal it and let it sit on the counter or in the fridge overnight. In the morning strain out the grounds and voila! You have cold brew coffee. You may drink it cold or warm it up. Add any sweetener or cream you like. The use of spices on the grounds as coffee boils help to reduce acidity and aid in digestion. Turkish Coffee is traditionally made with a pinch or more of ground cardamom. It is boiled together in the ibrik before drinking. You can add any spice you like to the grounds of any coffee maker. Fennel is a well-known spice which aids digestion and adds a delightful anise flavor. My other favorites are ground cinnamon, pumpkin pie spice, allspice, nutmeg or cloves. Experiment and see which you prefer. Only use one at a time and you can add between a pinch to a teaspoon directly to the grounds. You can reduce acidity from the get-go by choosing carefully which brands, roasts and origins of coffee beans you buy. Some say “low acid,” “mild” or “easy on the stomach.” These beans have been processed in a way to reduce the acidity. Some beans are naturally lower in acid, depending on where they are grown. Opt for coffee beans grown in Hawaii, Brazil, Sumatra, India and the Caribbean. Experiment and see which you prefer. Dark roast coffee is roasted the longest – so more acid is reduced in the roasting process. Medium or light roasts will have more acid in them. If you opt for coarser ground coffee, the less it will leach acidity into your cup. Opt for coarse ground over fine ground. This is a bit of strange coffee alchemy, but fun and effective. Boil your coffee grounds with water in a pot and add in several crushed egg shells. 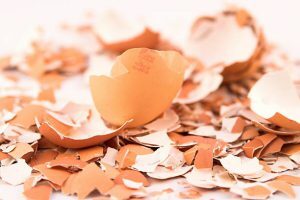 The egg shells help to absorb the acid. Use 1 spoonful or coffee scoop of coarse coffee grounds per cup of water. Bring it all to a boil and let it simmer for five to seven minutes. Once it’s done, let it sit and cool while the grounds and egg shells settle. Then strain out the grounds and egg shells using a fine mesh sieve and/or a coffee filter or cheese cloth in a strainer. Add whatever sweetener or cream you want, and enjoy. Experiment with all these options to see what works best for you, both to make coffee less acidic and the most delicious. 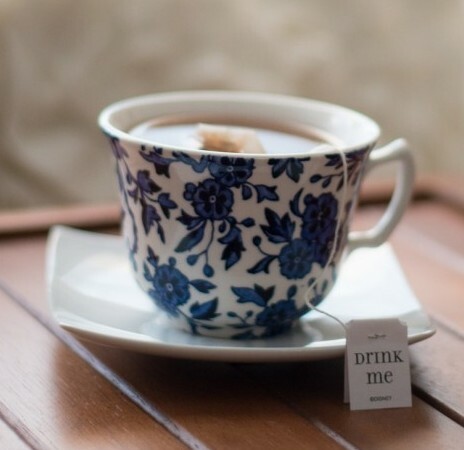 Once you’ve found the perfect cup, share with us below! So you’ve discovered the inexpressible delights of rich, smooth Turkish coffee, but you have no ibrik in which to make it? (The ibrik is the small copper pot with a long handle specifically for making this awesome coffee.) 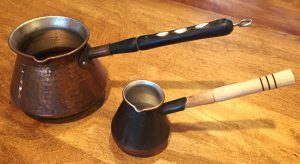 Here are simple instructions on how to make Turkish coffee without an ibrik – a simple small pot will do. Traditionally Turkish Coffee is made with the little ibrik resting in a wide shallow pot full of sand. The fire under the pot heats the sand to a hot, even temperature. The barista puts the coffee grounds, water, a little sugar and a pinch of ground cardamom into the ibrik, then nestles the ibrik into the hot sand, moving it around as necessary for even heating. They bring the coffee to boiling where the sugar magically dissolves and blends with the coffee. With skill, they move the ibrik or lift it just on time so it doesn’t boil over. They may bring it to a boil a couple of times. Then they pour it into a tiny mug, grounds and all. It sits for a minute as the grounds settle and the coffee cools enough to drink. This is traditionally drank black with just a little bit of sugar. The recipient savors every delicious sip, being careful not to drink it all the way to the bottom where the grounds rest. I highly recommend getting an ibrik. But until then, simply make this with a small pot on the stove. Use the smallest pot you have. Usually enough is made for one espresso cup, but I like to make enough for an American-size 8oz mug of coffee. Put a spoonful or coffee scoop of grounds into your pot and measure in about a cup of water. Put in a teaspoon of any kind of sugar and from a pinch to a teaspoon (according to your preference) of ground cardamom. Set your burner to medium and bring it to a boil. Turkish coffee can take up to five minutes. When it’s boiling, lift it a second, then place it back down to bring to a second boil. Pour into your mug, let the grounds settle and the drink to cool, then enjoy! You may add cream if you want. You can buy inexpensive ibriks at Ebay and Amazon.com and I highly recommend this. Turkish coffee is one of the best preparation methods and you will want to keep making it. I own both a tiny ibrik for one espresso cup and the 6-coffee ibrik which fills my 8oz mug perfectly. The ibrik is small and could be used when camping, too. It’s fun using an ibrik. Follow the same directions (changing the amounts according to the size of your ibrik) to boil this coffee on your stove top. You want at least an inch of space from the top of the ibrik to where your water starts, because it needs room to boil up. Be careful to lift it on time before it boils over and makes a mess. Once the large first bubble pops I let it boil for a few seconds before pouring. Sometimes I move it to the side of the burner instead of lifting. The ibrik has a little pour spout to easily pour into your mug, and this pot can be quickly rinsed and scrubbed out – no scald marks like you’ll get in a regular pot. Once you try Turkish Coffee with an ibrik you won’t want to go back. It’s a bit of heaven and is delicious enough to not need cream or milk. The cardamom helps to reduce the acidity and aids in digestion. You can also experiment with other spices occasionally, like cinnamon or fennel. Our first stop on the coffee world tour is France. A French Press is inexpensive and one of the simplest ways to make a delicious, rich brew. You can control how strong it is by the beans you choose, how much you put in, and how long you let it steep. First of all, for the absolute best and freshest coffee taste (in all preparation methods), buy whole beans and grind them right before using. When in a hurry, however, you can use pre-ground from the store or grind a bunch once a week and store in a jar in a cool, dark cupboard. For the French Press, measure in 1 regular spoonful (or coffee scoop) per cup for a nice, strong, coffee. Measure half if this comes out too strong – you will want to experiment to your own perfect taste. Same goes for which coffee beans you use (brand, origin, etc.) For a gourmet touch, you can add a teaspoon of your favorite spice to the grounds in the press – cinnamon, cardamom, allspice, ginger and fennel are some of my favorites (use one at a time). Get hot water boiling in your teapot. I usually make a full French Press pot at a time. But you can fill it only halfway, too, depending on how many cups you want to drink today. I pour about 1 cup of boiling water per cup of coffee I want (for American-size 8oz cups of coffee). Pour the boiling water over the grounds inside your French Press. Place the lid on top, but do not push the handle down yet. Cover the whole thing with a thick towel or tea cozy to keep it hot, and let it steep for between 3-5 minutes – again, experiment to see which you like the best. When your timer is up, slowly and carefully push the handle all the way down to force the coffee grinds to the bottom of the press (this is the “press” part). Now you can pour it into your favorite mug and add any cream or sugar you’d like. You can also pour it all into an insulated coffee carafe or thermos to keep the whole pot hot. Simply rinse out the French Press when done. Occasionally I’ll remove the glass part from the metal casing and run it, along with the metal lid and press, in the dishwasher. You can compost the grinds, too, from all these different types of coffee preparations. Now we’ll fly to Kyoto, Japan where coffee was cold brewed as early as the 1600s – the first known place where this method was used. Sometimes called Kyoto-style coffee, this is the simplest method for brewing coffee, but takes the longest. However, you don’t need electricity, so learn this one in case the zombie apocalypse comes someday. For this method you only need a large gallon or half-gallon jar. Use 1/3 cup medium-coarse grind coffee per 1-1/2 cups of water. I use a large jar so this lasts me a while, but you can use a smaller jar and make enough for a couple of cups next morning. Do this preparation before you go to bed. Put your grinds (and any fun spice you want) with the water into the jar. Seal it and let it sit either on the counter or in the fridge overnight. Another benefit to cold brew coffee is that the acid of the beans is reduced by 67%, per a scientific study by Toddy. So it’s easier on digestion and teeth, even though it’s deliciously strong and smooth. This would be a great one to take camping, too. Next morning simply strain with a fine sieve, a cheesecloth or coffee filter in a strainer and drink your coffee cold. Or strain and heat it up in a pot or microwave, if you want it hot. Once strained, you can keep it in the jar in the fridge all week. Now we’ll fly to Turkey, waving to Greece on the way for this method found in both countries. The first coffee house opened in Turkey in the 1500s and this is the method they used. Traditionally they have a wok-type pan filled with sand. In alchemy this is called a Sand Bath. The fire under the pot heats the sand, which keeps a very hot, even temperature. The barista pours the coffee grounds, a little sugar and the water into a tiny, copper ibrik. With Turkish coffee a pinch of ground cardamom is specifically added to the grounds as well – it helps to reduce the acidity and gives it an amazing flavor. Like most countries on the Euro-Asian continent, coffee is drunk very strong in tiny espresso cups. Ibriks come in all sizes; I have a tiny one for a single shot of espresso. Most of the time I like a big, American cup, so I also bought the biggest ibrik I could find. It fills my 8oz mug beautifully (listed as a 5-cup ibrik). In Greece this little copper cauldron is called a cezve. With the sand very hot, the barista nestles the ibrik into the sand, moving it around here and there so that the coffee heats evenly. They do this for about 5 minutes until the coffee starts boiling, naturally melting and mixing the sugar in with the coffee like magic. They lift the ibrik up out of the sand at just the right moment before it boils over, then they shift it back in and bring it to a boil again, once or twice. The ibrik has a pour spout and the coffee, grounds and all, are poured into your favorite mug. It’s just been boiling so you can add a little cream or milk if you would like, but traditionally this is drunk black. It is so good you don’t need cream. Let it sit a minute in your mug while the grounds settle to the bottom and it cools enough to drink. With this most amazing cup of coffee you cannot drink all the way to the bottom – stop right before you start sipping up grounds. When I first discovered Turkish coffee and shared the method with my father-in-law, he exclaimed, “Oh, that’s Cowboy Coffee! They would boil it in a pot on the range.” Yes, pioneers and cowboys would boil coffee in a pot with water and probably sugar, but they didn’t add the cardamom or use an ibrik, so there. Now off to Italy! When I first looked for a coffee maker to take camping, I discovered this sweet little gem. It is claimed to be used in every household in Italy – it is Italian-made, after all. It’s the Bialetti stovetop espresso maker, sometimes called Bioletti Moka Espresso Maker. You can use this when camping or at home on your stovetop. Again, I got the largest one I could find, advertised as a 6-cup bialetti, but for me it makes exactly two American-size cups of delicious coffee (I sometimes like to put lots of cream and sweetener with my espresso shots). You can use any kinds of beans with this, it doesn’t have to be espresso. This is a simple stovetop brewer that specializes in espresso-style coffee. Since it’s on the stovetop it may take 3-5 minutes, like the Turkish coffee. It’s as simple as unscrewing the top part, remove the filter piece, fill the bottom part with water to the fill line, scoop your coffee into the filter basket, nestle it in place in the bottom part. Then you screw the top back on and let it heat on the stovetop. It will boil and brew into the top part of the moka pot. You will hear it bubbling, and when the top part is full, the coffee is done. This is a delicious coffee which I don’t find quite as strong a brew, but again, it depends on which beans you use and how much you scoop in (I use one scoop/spoonful per cup of coffee I want). But you will find this coffee, even with espresso beans, to be less strong than an espresso made with an actual espresso maker with 15 pounds of pressure. So while we’re in Italy we’ll consider the most expensive option for delicious espressos and cappuccinos – it’s with a real espresso maker machine. These come in all price ranges, for both commercial and home use, as well as various sizes. I’ve done a lot of research into these and have tried three different ones. Delonghi is a brand you can trust, although mine didn’t last as long as it should have – I discovered too late that if you tamp too hard, over time it ruins the machine. When I got my new machine in December, 2017, I chose Mr. Coffee Cafe Barista Espresso and Cappuccino maker for $200. You can get a decent espresso maker for around $100-$200. Fancier ones go from $500 up to $1,000 or more. These machines are made to pull espresso shots – they have 15 pounds of pressure and do a great job at making real espressos. They offer a one-shot or two-shot grind basket. This is strong coffee, real espresso. The one I have makes lattes as well as espressos and cappuccinos, and I especially like that it steams and froths whichever milk I want automatically. Your machine will come with instructions, and once you learn to work an espresso machine, most of them work about the same. They are simple and easy. Just be sure to tamp lightly! For an espresso, simply do one or two shots, which pour directly into your tiny espresso cup; add a tiny bit of sugar if needed. Be sure to use freshly-ground espresso beans for the best flavor – even pre-ground espresso beans are better than normal coffee beans. For cappuccino’s, you have to froth and steam your milk to pour on top. The Delonghi brand has a wand you swing out, place inside your little pitcher or cup of milk, and when you turn the knob it heats and steams/froths your milk, which you then pour on top of your espresso shot. If your espresso maker does not have an attached steamer wand, you can buy milk frothers – one of the best is a small metal pitcher frother, but you have to heat up your milk before you pour it in and pump the frother. Even a hand-held electric frother does pretty well – it’s not the best, but it’s an inexpensive and portable option. Again, you have to heat up your milk first. These methods work with any kind of milk, but you will find that certain milks froth up much better than others. Real cow’s milk froths the best, whereas some of the nut milks hardly froth at all. Coconut Creamer works well, and I’ve had good success with my homemade cashew nut milk. This is just an introduction to different types of coffee preparations. 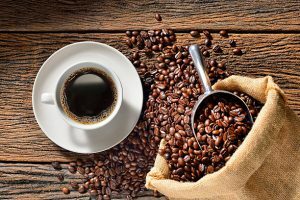 On this site I will explore more in the world of coffee – different coffee roasts, origins, recipes, grinds, and more methods. Grab your coffee passport, your favorite mug and let’s journey together.